Broadband/Internet: The group had a discussion with Peg Sweeney. The first step would be to have done a feasibility study, which costs about $8,000, up to $45,000-$60,000. Looking into grant money for this by December 1st deadline. DNR samples from Pequaywan Lake: Report copy received – no invasive species reported. Sulfide Mining: Discussion of property owner rights in regards to mining. Mead proposed the township do a resolution. Fry is to put together a draft resolution. Broadband/Internet: Getting survey results and compiling data. There will be a meeting with Peg Sweeney to discuss. DNR samples from Pequaywan Lake: Report is on its’ way to Mead. There was discussion of sulfide mining. Logging of township land: Contract was signed. Copy was given to clerk for township file. 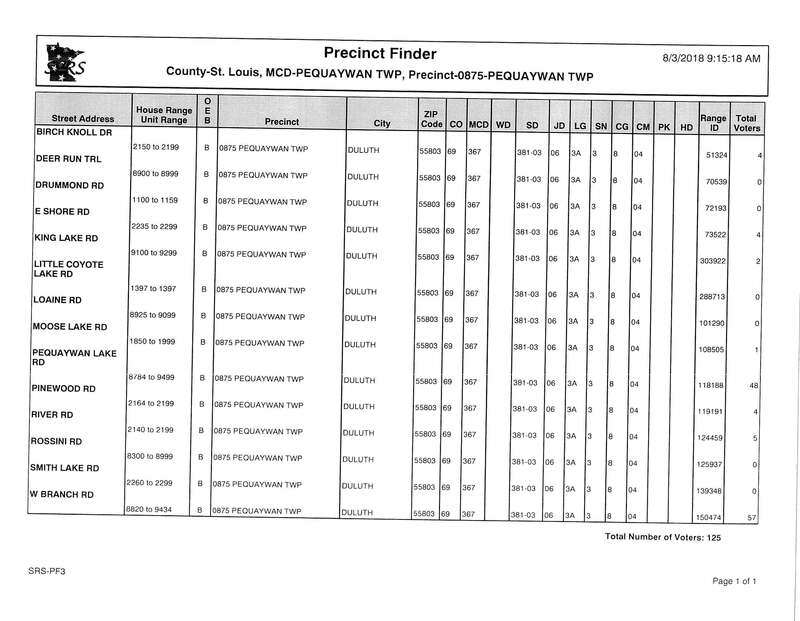 New tax assessor: Motion made and passed to use St. Louis County as the tax assessor service for this year. Clerk to give notice to Jan Jackson on the township decision. Broadband/Internet: Letters/questionnaires ready to mail out. Emailed questionnaires out to those they could. Receipts turned in for postage and printing fees. Leashing/controlling dogs: St. Louis County stated there are no leash laws to Freeman. DNR was on Pequaywan Lake taking samples for water, vegetation, zebra mussels, spiny water fleas, Eurasion milfoil. Mead asked for a report copy of the results. Hwy 44 road speed issue: Discussion of having 40 mph warning signs coming from the south. Logging of township land: Logger Johnson gave a quote, Freeman will get more concrete information on the contract. New tax assessor: Jan Jackson and son Larry attended the meeting to present themselves as a choice in the new assessor decision. Question asked after they left the meeting on if they are bonded for their job as assessor. Broadband/Internet: Citizen Helgen is creating a flyer in difference between current and high-speed. An interest survey needs to be completed as part of being included in the Lake county internet upgrade. A resident asked if the township would draft a letter to the St. Louis County asking them to resurface Jean Duluth Rd. Mead is to draft the letter. 3 citizens did a view of the two Pequaywan lakes for water iris plants in the lakes. A couple clumps were found in big Pequaywan and many more in little Pequaywan.